In an ever-modernizing world it seems that more and more people spend hours a day staring at some sort of screen, be it a computer, an iPod, a tablet, or a smart phone. Anyone who has one of these portable devices knows how useful applications (or “apps” for short) are for everything you do in your daily life. For example finding a good restaurant, chatting with friends, playing games, or looking for constellations in the sky. But did you know that there are hundreds of apps developed for simple language learning on-the-go (when you’re not at home)? And many of these are FREE. This is great news for you English learners that spend much of your day on the bus or the train, but don’t know how to put this time to good use (besides listening to podcast). But with so many options out there, how do you choose the best one? 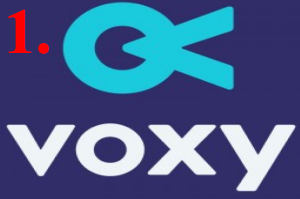 If you are looking to broaden your English vocabulary Voxy is a great choice for you. Every day it features different news stories in different categories (politics, business, art, culture, technology, and more). Voxy underlines key vocabulary that Portuguese and Spanish speakers in particular will have challenges with and shows correct pronunciation and definition for these words. It then tests you on this vocabulary and has other activities that assist you in memorizing the new words. Voxy also features different songs everyday, giving the listener the lyrics and definitions of the most challenging vocabulary. In addition, there is a phrases section that gives even more vocabulary and expressions and practice in their usage. You can even access specific vocabulary depending on where you are (a bank, a restaurant, or a football field). Voxy allows you to track your progress to assure you are meeting your weekly English learning goals, and can even give you reminders to study. 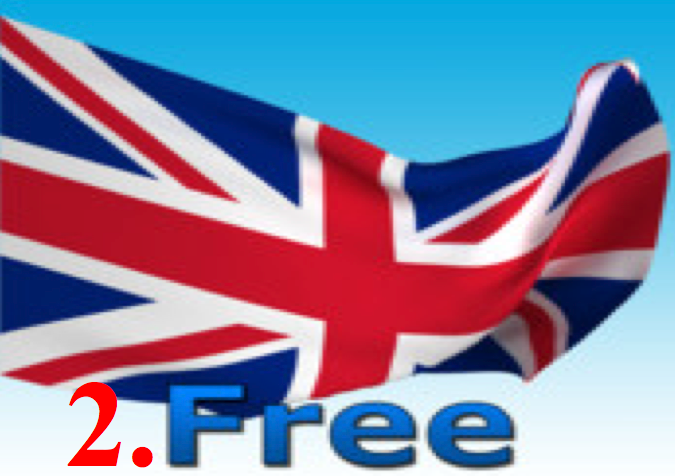 Although the free version is great, to get the best features of Voxy (additional news articles, video lessons with English teachers, a camera feature that allows you to photo something and receive its name in English, etc.) you need to pay for a monthly or yearly subscription. But check it out and if you enjoy it, maybe you’ll find the price worthwhile. This App’s goal is for you to learn English in the same way a child does: rather than memorizing grammar lessons like in school, you learn it by seeing pictures and then hearing an audio description (for example a picture of bread and then a native speaker saying bread). With 30 lessons, it offers two different voices to allow you to learn varied pronunciations. After teaching you new words, it then quizzes you by having you match the word or phrase to a picture. There is also a written mode in which you learn the new vocabulary and then have to write what the picture shows. English in a Month also has a statistics section where you can track your learning. This app is lacking in English verbal and reading practice. 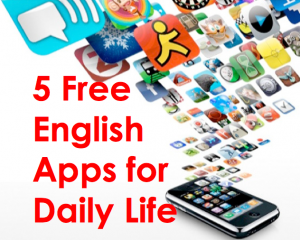 Despite this, it is a useful app for Basic English learners who want to expand their vocabulary and only have a short amount of time each day (it’s perfect for a twenty minute bus ride). Busuu is not only a great app because it covers reading, writing, and listening; it is also entertaining. You enter into the app and choose your level (A1 very basic to B2 more advanced). Then you choose a lesson. Each lesson starts with a section with photos, which contains new vocabulary in English, the word in your language, and pronunciation. Next you listen to a conversation (using the new vocabulary) with a transcript so you can read along with the story. You can also translate this text to your native language. After listening to the conversation you take a quiz to check your comprehension of the material. You have a written section and then finally a test over the section. Busuu also offers a community online where you can meet other language learners all over the world. 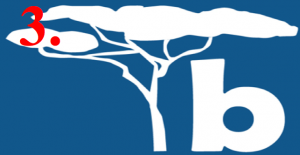 In addition to English, Busuu offers ten other language courses. It is a perfect application to use in addition to your regular language learning routine. Although Newsy is not specifically for learning English, it is a great app for intermediate and advanced students. 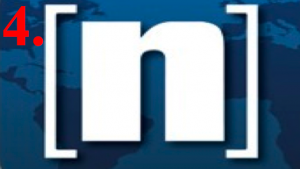 Newsy offers brief videos in English with the latest news stories from a variety of sources all over the World. In addition to this, you can read a transcript of the story before and after listening it to check your comprehension. This is especially useful for English learners who find they need to improve their listening skills. Newsy always updates the stories on its feed so you are sure to find something interesting, and it is a great way to learn some new vocabulary. Not to mention it will help you keep up to date on international news. If you find an interesting story you can share it or comment on it. This is another great resource for those that need something to keep them busy on the bus. 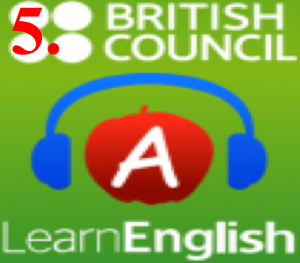 Listening to podcasts is rather difficult when you first start learning English. However, this application offers you 20 podcasts about different topics with transcripts and quizzes. This makes sure you aren’t just listening, but also understanding. These podcasts are in British English, so if you are used to an American accent this will be a good opportunity for you to learn a new dialect. Stop playing Tetris and Angry Birds and put your phone or tablet to some real use! It doesn’t matter whether you choose Voxy, Busuu, English in a Month, Learn English Elementary, Newsy, or experiment with one of the many other available language learning apps. You just need to find ways to incorporate English into your daily life. 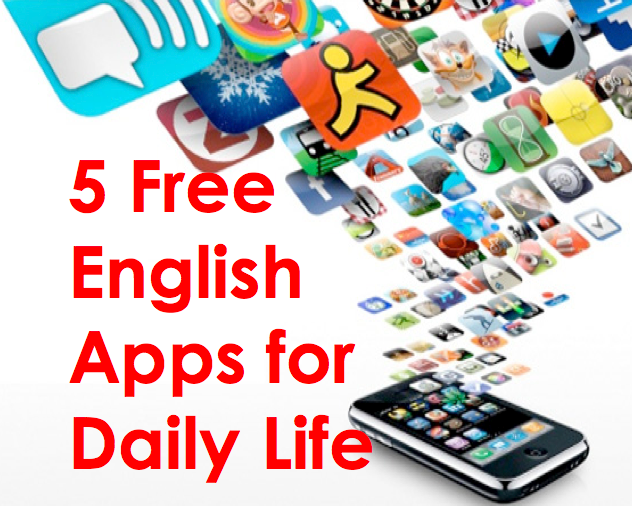 Everyone makes excuses about how they don’t have time to learn another language, but these apps just require a few minutes a day. On the bus, while eating lunch, or during your afternoon coffee break start using these apps in order to grow your vocabulary and become fluent. If you liked this article don’t forget to like and share it. We would love to know what you think in the comment box down below. If you haven’t joined the RealLife English International Learning Community, we encourage you to join over 4,500 members from 50+ countries! Great article. Very well-organized, and an excellent guide to show people how to use technology in simple and easy ways to improve their English and their life! Did you read this Denise Neves?